Good news for Argentine diners! There are 25 replies in this Thread. The last Post ( Apr 22nd 2018 ) by EJLarson. Seems that for some people the excruciating pain of eating hot chile peppers isn’t a sufficient thrill if it doesn’t include a trip to the ER. The good news: chances of finding anything hotter than cinnamon (“ay, me pica!) in Argentina is ... zero. I lived in northern Mexico (Sonora) where allegedly mild dishes could cause your head to explode. So imagine my amusement when a waiter here warns me of the caustic potential in a dish of the ubiquitous, obnoxious chimichurri he serves with my steak. Well, I this respect I am so very happy to live here. I can't stand hot spicy food, it physically hurts my tongue and numb my tastebuds, rendering anything tasteless, so I am pretty happy I can't get spicy food here, even accidentally. Spicy foods are normally from the Latin American countries which have coasts in the Pacific Ocean. It is not usual in Argentina, Uruguay and Brazil. Perhaps Chile is an exception. No, not Chile. Seems to be connected to the distance to the equator; the closer, the hotter. My point was that Chile have coasts in the Pacific Ocean, but they do not use spicy foods. For this, I consider it as an exception. Perhaps it is also due to the persistence of aboriginal people, who used spices, even they introduced the spices in Europe through the conquest of America(all Americas). I remember reading about the nutritional value of the Mexican diet: seems that chiles and frijoles provide proteins and vitamins equivalent to meat. This is true. We do not need meat in our diet. Indeed, it does more harm than good (to us, for the environments and to animals). But it tastes good. And we like it cheap. 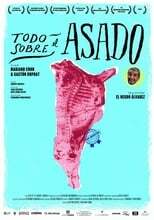 Have you seen Todo sobre el asado on Netflix? You should! But still, you won’t add those super-nutritional chiles to your diet? One of my very favorite condiments is home-grilled strips of Poblano peppers. It’s dead-simple: place the whole peppers on a hot grill, turn till all sides’ skin is scorched, wrap in a dish towel, let cool, peel, de-seed, slice into strips. Use it on steaks, burgers, fish, whatever. It’s not blazing hot and goes with anything. Now I have to watch All About Asado! I'm with Serafina. What is pleasurable about blowing the top of your head off with tastebud-searing heat? I enjoy the mild seasoning of foods in Argentina, and the food I cook is probably too bland for many. So it shocked me to have a friend tell me that a dish I'd served was very (translated: TOO) spicy. Not a comment I'd ever have heard in Louisiana! One of my very favorite condiments is home-grilled strips of Poblano peppers. Are they available here? I have always seen bell peppers and ají, but I am not familiar with peppers, to be honest. I still have to grasp the difference between ají dulce y picante. Sometimes it is small, like hot peppers, in full green and red other times is big as a hand but in yellow-pale greenish color or light red. Also, you should factor that shopkeepers will give you whatever they have regardless of what they are really called, so may experience may not reflect yours. Veggie shop experiences worth mentioning here. Apologies for the tangent -- I'm missing that "off topic" emoji -- but does anyone know a source for fresh cayenne peppers? I've seen dried ones in Chinatown, but need fresh ones for a specific recipe. I will look out for them, but in veggie shops supplies of these things are on/off, so even if I spot them, nobody knows when they will be available again. I guess that freezing them is not an option, otherwise I will buy them for you. 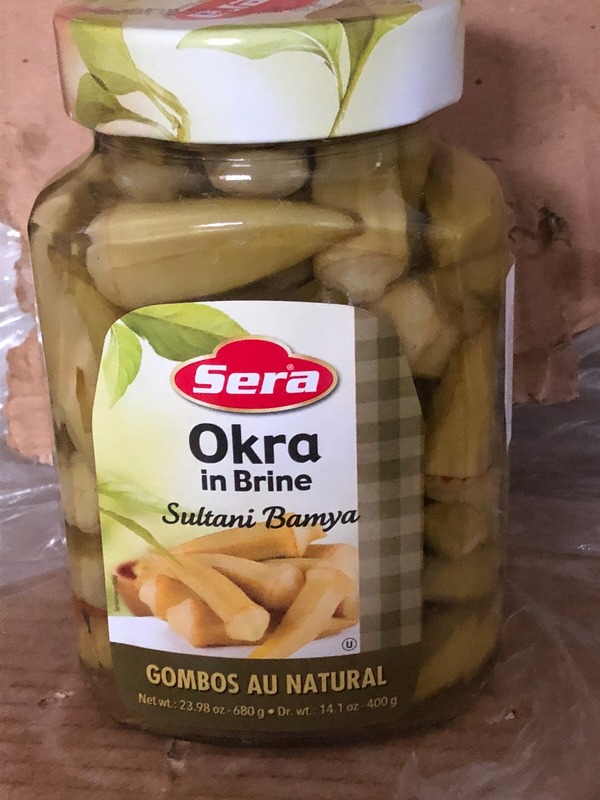 On a side note, yesterday I saw Okra in brine at Damasco (on Scalabrini Ortíz) and other people have reported seeing Maple Syrup at Armenia (on the next block). Okra in brine? Sounds odd, but I'd be willing to try it in gumbo, making sure not to salt it. And yes! You can definitely freeze cayennes. They lose some of their oomph, but my chicken stew recipe uses them just long enough to flavor, not to make the stew spicy-hot. Dried cayennes won't work, but fresh frozen ones are fine. They are the very thin green or red peppers around1-2 inches long. Thanks for being my lookout! Liza might know where to buy cayennes, but I don't think her menu has any dishes that use cayennes. Gumbo uses okra, an excellent thickener, but doesn't use cayennes -- just the "holy trinity" of onions, celery and bell peppers. I'm trying to locate fresh cayenne peppers so I can use my grandmother's chicken stew recipe. If you see them, I'd love for you to snag some for me -- I just need three! Thanks, serafina . I will keep out an eye for them! Liza's gumbo is pretty hot, where does it come from? Bell peppers aren't hot. Liza's gumbo is pretty hot, where do it come from? Bell peppers aren't hot. I couldn’t find Spanish chorizo, so I used some innocent-looking andouille in a paella. Cooking tip: don’t do that. What did you use to put out the 3-alarm fire?